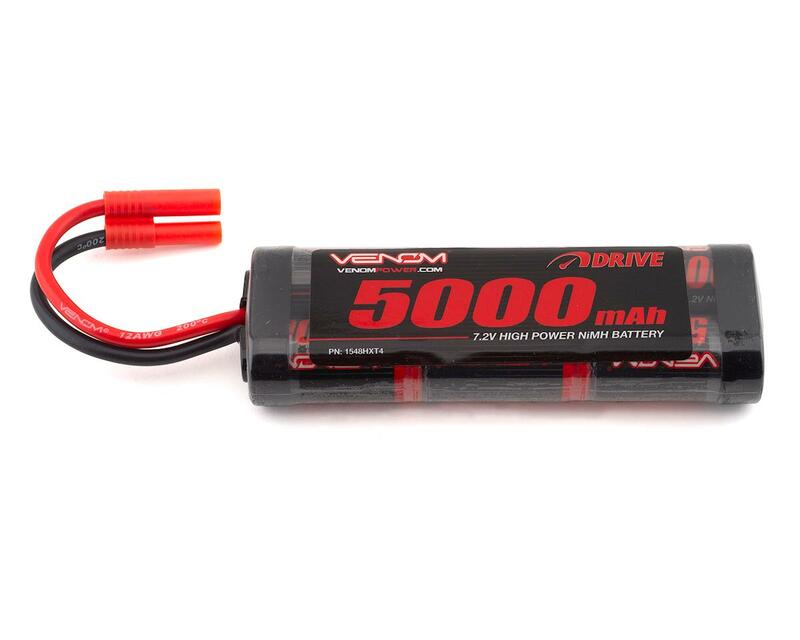 This Venom® 7.2V 5000mAh NiMH battery with HXT 4.0mm is perfect for most Redcat Racing® 1/10 brushed RC boats, 2WD and 4WD cars, trucks and buggies. The preinstalled HXT 4.0 mm connector allows for plug and play use with todays most popular Redcat Racing® RC vehicles.Available in a wide range of sizes, capacities and C rates there is a Venom® DRIVE battery to suit most applications. As an industry leader in RC batteries and chargers for over a decade, Venom® is a name you can count on for the power and performance you demand.